Bimtoy will debut Kitty Ghost and Puppy Ghost figures from Reis O’Brien—known for his design work at Funko—at NYCC in metallic silver and gold editions. 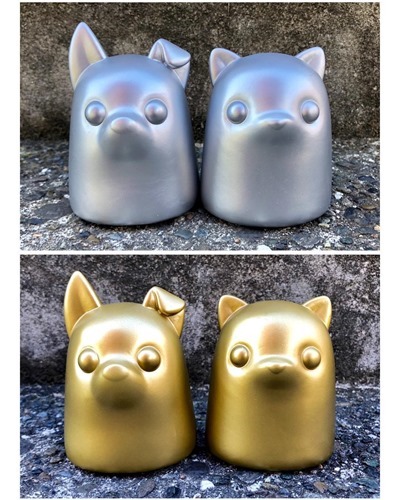 Both will be available from the brand’s Bottleneck Gallery booth [#2160]. These follow O’Brien’s popular Tiny Ghost figure which was recently exhibited STGCC. 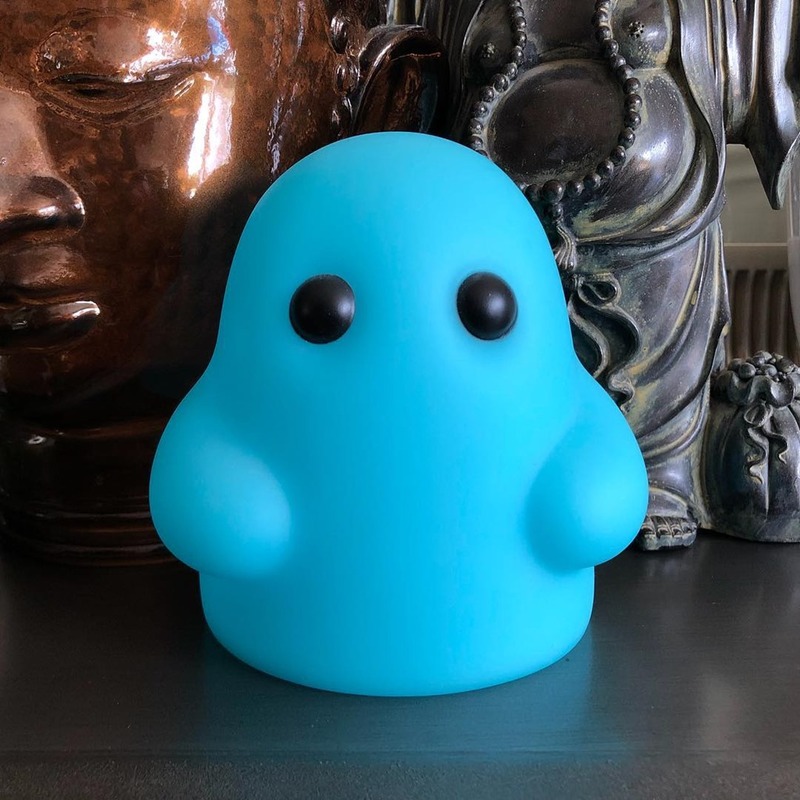 Tiny Ghost fans will be happy to know that Fugitive Toys [booth #774] will be releasing a 5” Tiny Ghost in Blue GID at NYCC. This limited-edition figure will be available through their lottery system.